Today I'm featuring Giftbearer, which is slightly intimidating, since Pippit Carlington, the artist behind giftbearer, started the 90 day challenge, a great marketing tool for any Etsy artists who blog. In fact, a quick glance at her blog and shop profile makes you realize you're in the presence of greatness (well, not technically in the presence, but still... Pippit is an amazing person and artist!!)!!! Pippit creates and carries jewelry with a contemporary tribal style, using several different media. 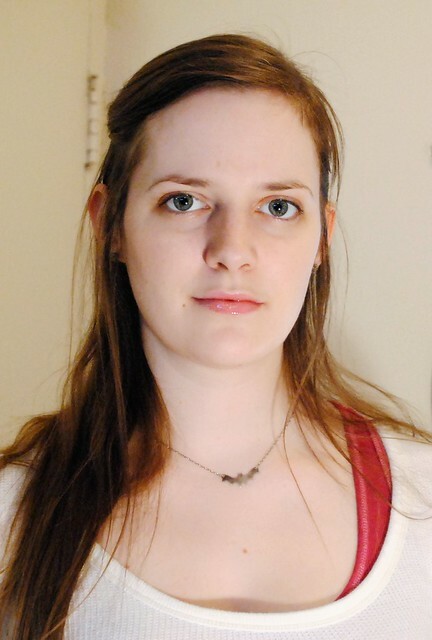 She has been artistic her entire life, and has been formally trained at Callenwolde Center for the Arts, The Atlanta College of Art, and Atlanta Jeweler's School and Studios. She is inspired by nature (which is highly evident in many of her pieces) as well as political and social issues ~ in this way, she tries to educate the public through her art. Pippit has quite a diverse heritage (including French Canadian!! :) Just like me! 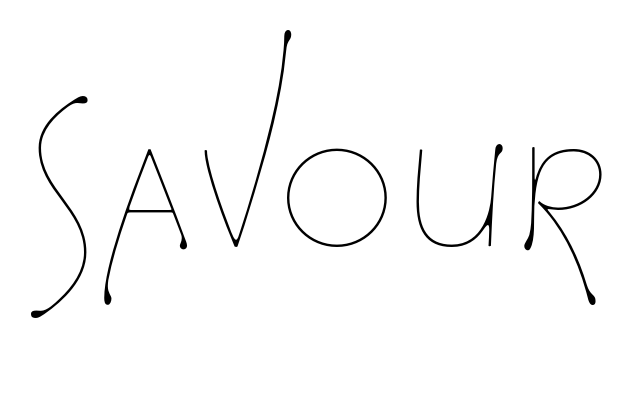 ), which also influences her work. Aside from running her business (along with several websites and blogs), Pippit finds the time to volunteer (online support for individuals with autoimmune disorders, donated art items for the survivors of hurricane Katrina) and mentor other artists. In fact, she has developed Artvision, a psychosocial rehabilitation program (which she operates out of her home), which guides and helps artists with mental illnesses and learning disabilities in opening and running their own shop. Pippit is truly an outstanding person!! 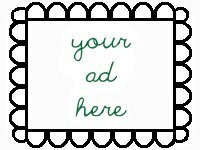 If you are interested in being kept up to date with Pippit's shop and activities, please join Giftbearer's Customer Community on Zaadz. Also check out her other non-Etsy stores, Smashing Darling and Mindt. She can also be found on Flickr and MySpace. Here are a few of my favourites from Giftbearer's shop. I really prefer my jewelry to be simple and stunning. And those evergreen fine silver earrings are certainly both, as well as absolutely gorgeous! 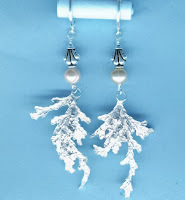 These are made with small sprigs of a real evergreen tree (it looks a lot like cedar to me), coated in silver and strung under simple light pink pearls and a shell-like silver bead. Simply stunning!!! 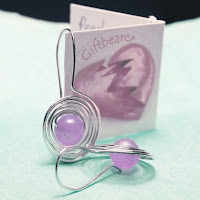 Another set of earrings that I love are these Saturn spiral earrings in purple jade. The pretty mauve bead looks amazing surrounded by concentric silver circles. Yet, these earrings are still understated enough to be able to wear them to work everyday, or to do grocery. Striking and wearable ~ the best kind of jewelry. Here is another piece that shows off Pippit's nature influences. Oh, by the way, doesn't she take amazing pictures? I couldn't get over how spectacular this budding vine bracelet looks amid all those dead leaves and that bright green sprig of grass. Made with fine silver painted over a real vine (which was then burned away), I was actually surprised that it wasn't wood. It looks like a silver maple twig... but far more durable! 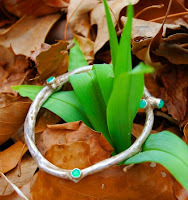 On each of the buds is a genuine Chrysoprase stone, in a delicious green. What a unique find!! You are sure to get many compliments and inquiries on where you found such a one of a kind creation! 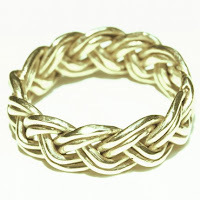 Another versatile piece of jewelry is this effortless 14k gold braided ring. Very sweet and simple, this would be a perfect ring for everyday ~ and a great anniversary or birthday gift. In fact, I think these would make lovely wedding bands ~ it isn't too feminine, and I'm sure if you convo Pippit, she can work something out with you (by making the groom's ring slightly wider or something). Go ahead and check out Giftbearer, you won't be disappointed. I'm certain you might even cross a few people off your holiday gift list! While you're checking Pippit out, be sure to click on one or all three of her blogs: artlifenewsblog (where you'll find other 90 day features), zaadz and MySpace. Wonderful feature; she is so multi-talented. You did a great presentation! Thank you for the wonderful feature! I love it! Thanks for popping by again ! The jewellery you`ve shown is outstanding workmanship ! I try to look for pieces that i know not many people will have .